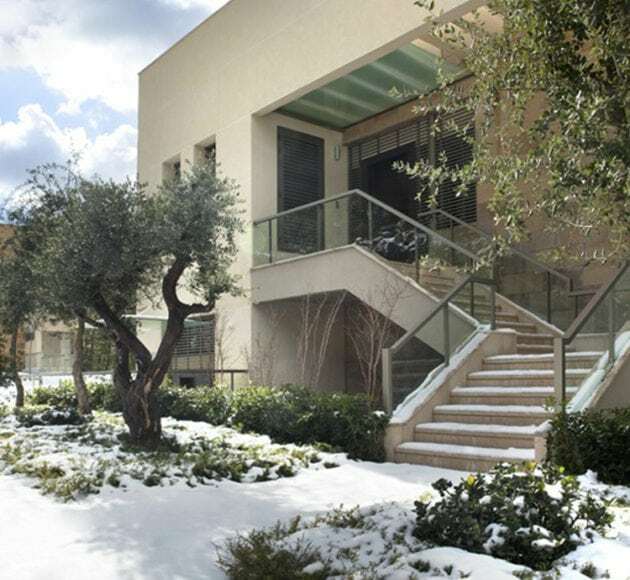 Designed with the charm and heritage of a traditional Lebanese Village, BeitMisk is a gated community beautifully located in the Northern Metn region, at an altitude of 600 to 900 meters, off the Metn Expressway, and only 10 minutes away from the Dora highway. Co-developed by GZA Group and Emaar Properties, the project spreads over 655,000 sqm of land, offering its residents an exceptional view, overlooking Beirut and the Mediterranean Sea, all year long. "BeitMisk is the perfect blend of everything magical about Lebanese villages, with all the conveniences of the world’s leading cities." BeitMisk is the leading benchmark for quality of living in Lebanon. At BeitMisk, a mix of lofts, apartments, duplexes, townhouses and villas blend perfectly with leisure facilities as well as commercial and retail outlets. With a variety of schools and malls less than 10 minutes away, BeitMisk promises a new way of life with everything within reach all year long. With our state of the art Country Club, beautifully landscaped outdoor areas and Kids’ playground, you and your family will benefit from a healthy lifestyle and peace of mind. At BeitMisk, the comfort of every resident is a round-the-clock priority from the moment you purchase your home onwards. Pick between a standard method of payment or have one customized for you in accordance to your own needs. Our After-Sales team keeps you updated on your residence’s construction milestones, handles all your registration paperwork, and will guide you all the way through your move-in day. Once you move in, we offer you 24/7 support covering a wide range of maintenance, security and technology related services through our facility management team. Life in BeitMisk is even better than you think.